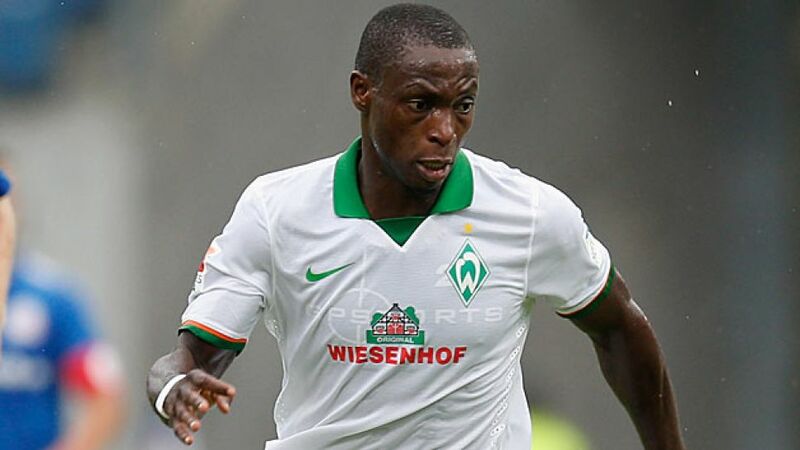 Cologne – Following the departures of both Davie Selke and top goalscorer Franco Di Santo, SV Werder Bremen's summer signing Anthony Ujah is ready to plug a gap in their attack this season. In an exclusive interview with bundesliga.com, the striker discussed his move from the Rhine to the Weser, and his bizarre experience of swimming with crocodiles this summer. bundesliga.com: Anthony Ujah, after three years with Köln you have now spent a few weeks with Werder Bremen. How have you settled in to your new surroundings? Anthony Ujah: I settled in very well and very quickly. It was a conscious decision to come here and my first impressions confirmed that my image of Werder was right. The city's great and the team have made me feel very welcome. I was very well prepared too, coming to the city a week before pre-season training to get my flat arranged. bundesliga.com: What's the biggest difference between the two clubs and what were the reasons for you to move? Ujah: I really don't want to compare the two places or clubs. Cologne's also great and it will always have a place in my heart. I came to Bremen to try something new and it wasn't because it was better or worse. I just wanted to stay in the Bundesliga, but broaden my personal horizons. bundesliga.com: Has head coach Viktor Skripnik revealed what role you are going to fill in his system? Ujah: He likes to play an attacking brand of football, but we want to be successful and that means we're working hard on improving the defence. bundesliga.com: In January, you visited a crocodile farm in the Everglades. It was reported that Franco Di Santo taught you how to swim during this summer's training camp – has he made you fast enough to escape an alligator? Ujah: An alligator would have no chance, but only on land. Things are different in the water and it's going to be like that for a while. It was good fun to learn how to swim during the training camp, and the media made a big deal out of it. bundesliga.com: What do you think Werder can achieve this season? Ujah: We'll have to wait and see. We're a very young team, but we're hungry. I felt that right from my first training session here. We've got to focus on getting as many points as we can from the first eight to ten matches, then we'll see how we've developed up to then.